Thoughts on 1980s classics – HubNut – celebrating the average! I had a very enjoyable time with the Autoshite crowd at the weekend. I apologise for the crudity of that group’s name, but it sums up what most people think about the cars we own! These tend to be from the 1980s or early 1990s and are generally worthless. So, why do a bunch of 20-50 years olds (generally) go against the grain and develop a love for the unloved? This at a time when 1980s classics are very much in the news – the BBC and Daily Mail both carried stories today about how endangered 1980s classics are. A lot of it is nostalgia. Attend many car shows and the people there are cherishing the cars they remember from when they were younger. That means that generally, cars from the 1950s and 1960s attract older owners, who remember courting in the cars amongst other things. The 1970s and 1980s instead seems to generate the ‘my dad had one of those’ vibe, that makes young people keen to own the cars that were around through their childhood. That’s Cortinas, Sierras, Mk2 Cavaliers, Astras and the influx of Japanese classics such as the Nissan Bluebird, Honda Accord and Mazda 323. Certainly, that’s why I love 1980s classics. They aren’t the cars of my adolescence – that would be stuff built in the mid-1990s. These are the cars I grew up surrounded by and which my Dad did indeed own. Montegos, Bluebirds and Renault 9s. None of which are exactly common these days. I’ve only managed to own the Bluebird from that selection – I’m playing catch-up. But all this talk of 1980s classics being endangered. Is it true? Well, yes. I think it is. During the 1960s and 1970s, foreign cars were pretty rare. That means it’s likely that the cars you grew up with were BMC, Ford, Vauxhall or Rootes. Many different badges were often applied to the same car, so while there was a bewildering range of cars available, they didn’t vary much. 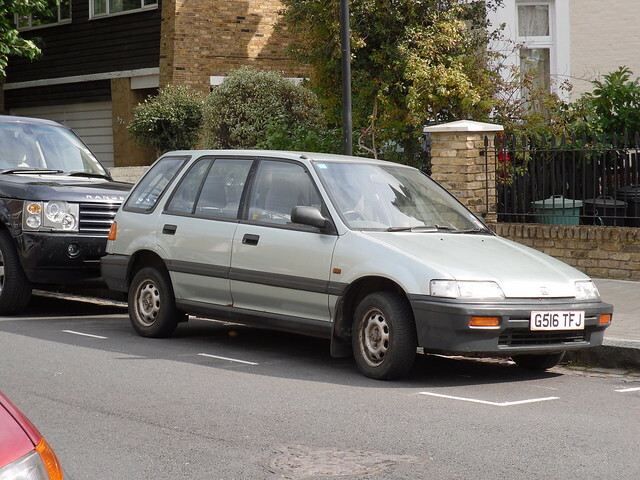 By the 1980s, foreign imports were flying in and with the Japanese setting up factories in the UK to beat quotas, buyers were faced with an ever-wider variety of buying options. But it was also increasingly the era of the disposable car. Cars might have been lasting longer, but people were still keen to buy new. Cars went down towards the realms of bangerdom and were simply scrapped when something major or expensive went wrong. The preservation movement took a while to get established – as it did with 1950s and 1960s classics for some time – and only now are thoughts really turning to protecting our 1980s motoring heritage. Oddly, this comes at a time when preservationists are turning to modern classics like never before. I’m astounded by the following that already exists for moderns such as the Citroen Xantia and Rover 75. These are cars launched in the past 20 years, with production ending only within the past 10. Hardly classic material yet I’ve seen plenty of them in cherished hands at shows. There can’t be much of a nostalgia kick with such young cars, so why the interest? I can only put it down to the fact that both of these cars are a bit different to the norm, in a world of increasing blandness. The Xantia was arguably the last nicely styled Citroen, and it still possesses a hydraulic suspension system derived from the DS of 1955. The Rover was designed from the off with plenty of retro appeal to be something to recall previous Rover successes. Both are superb cars to use everyday as well, and for some people, a car to cherish isn’t just one to hide away in a garage and take to the occasional show. Returning to 1980s classics though, I do fear that cars I was once very familiar with will soon be extinct. There just doesn’t seem to be a large enough fan base to cherish them all. Perhaps all the recent publicity will wake people up to cars of that era. After all, most of them are exceedingly capable and refreshingly pleasant to drive compared to modern cars. Large glass areas mean simply superb visibility, and even the most feeble supermini from that time is up to motorway speed running. It makes me want to rush out and buy a Honda Civic Shuttle before they’re all gone. Or am I too late?